If you are anything like me, then you will love adding those finishing touches to a room with decorative accents that are both beautiful and functional. 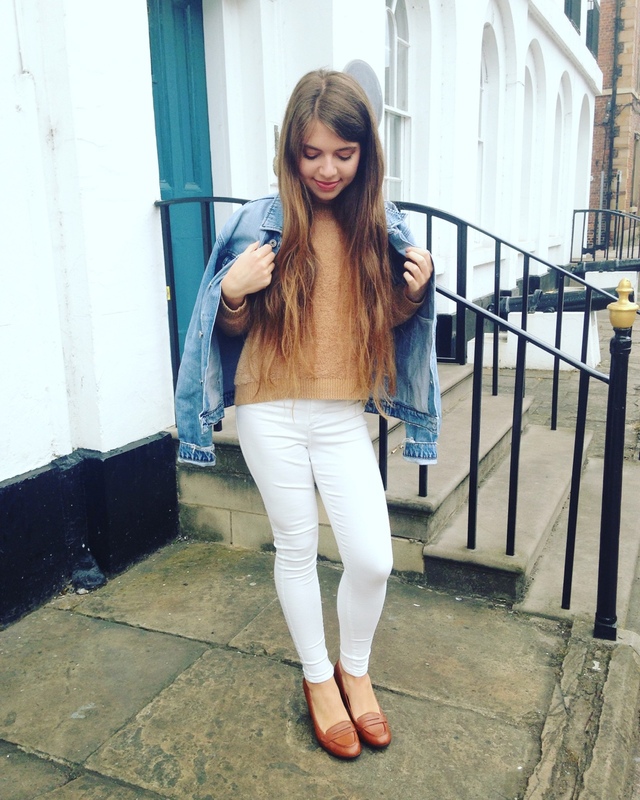 Think a natural scented candle to restore some harmony for example. 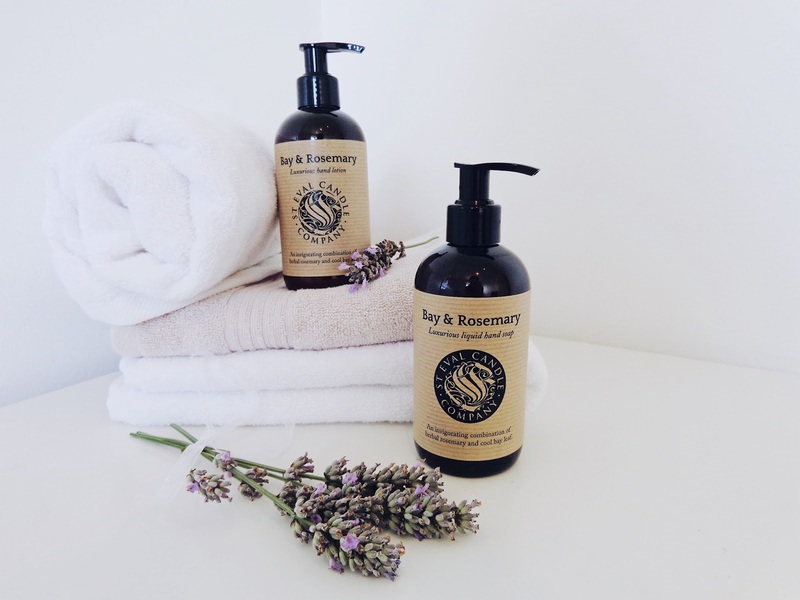 I personally really like products which are natural, bespoke and made with scents and essential oils which work in balance and total harmony with each other, so you can get the full benefit of their natural properties. 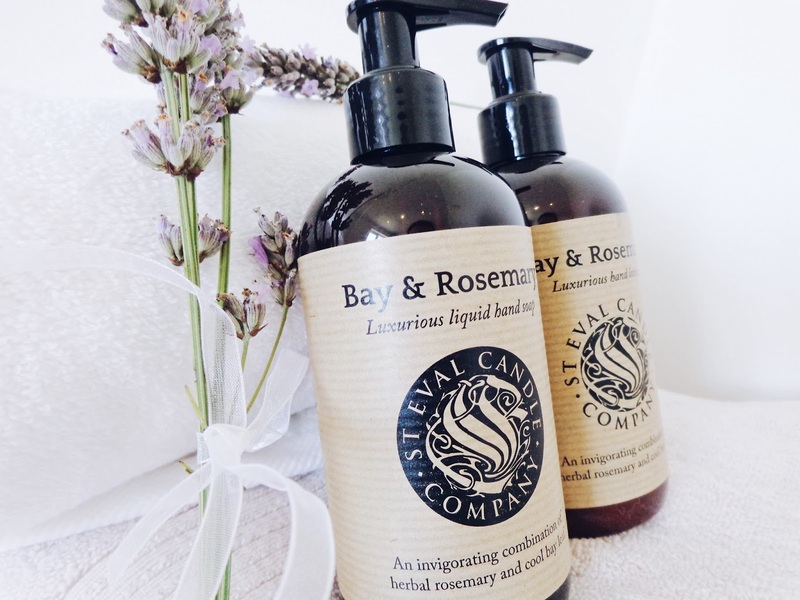 So when St. Eval Candle Company wanted to collaborate, I couldn't have been happier as they are an exclusive company who specialises in making luxury candles and bath goods which are inspired by nature, in both their aroma and in the natural ingredients which are carefully selected and used to make their products. Located on a traditional and still fully working farm in the midst of the Cornwall countryside - it's no surprise that the environment and conservation is a priority. 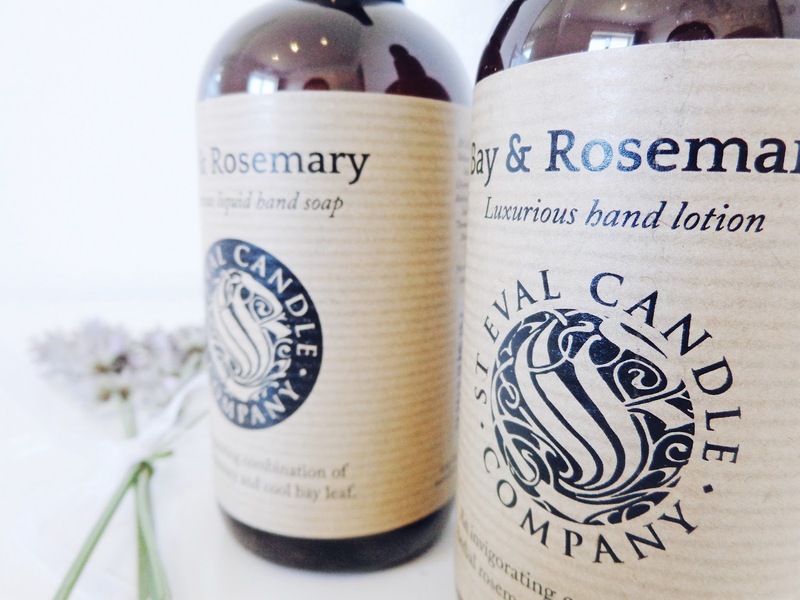 Surrounded by lush fields and hedgerows, the St. Eval Candle Company workshop is a hotspot for endangered bird species and the company is working with the RSPB as well as independently growing a bee garden full of wild flowers each summer to ensure that their farm grounds are as hospitable and wildlife-friendly as possible. 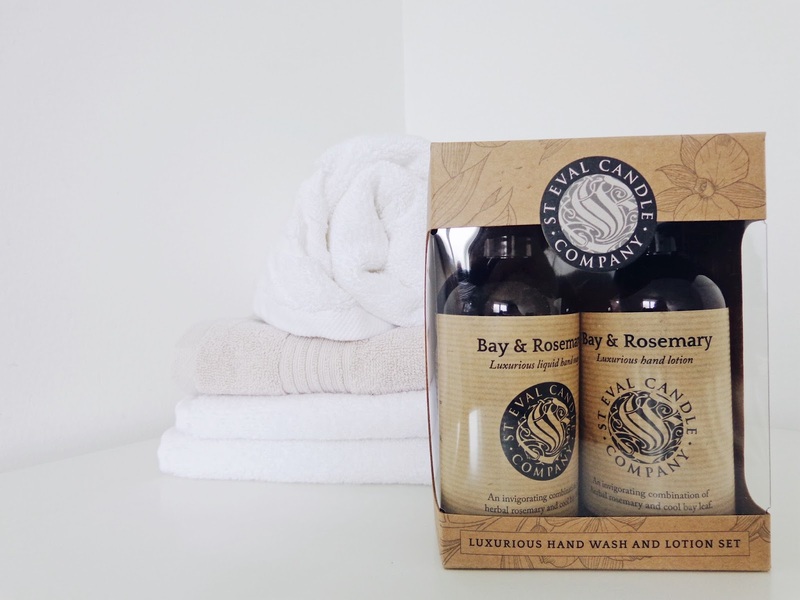 With the UK's quietest wind turbine proudly nestled upon their grounds, solar panels and a bio-boiler installed to generate enough power to keep their whole workshop in working order, St. Eval Candle Company are nearly 100% carbon neutral. 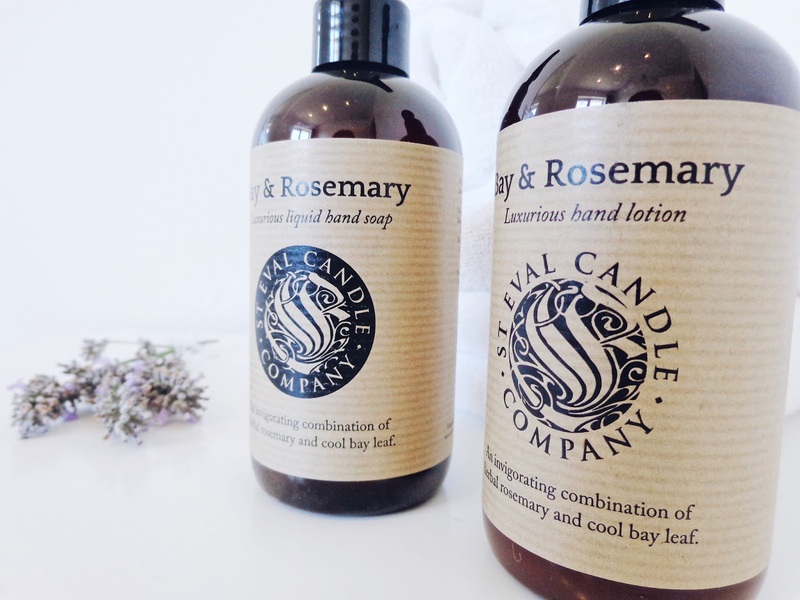 I was sent their beautifully aromatic 'Inspiritus' candle tin and their brand new hand wash and lotion set in the luxurious scent 'Bay & Rosemary', which is enriched with natural plant extracts and has a delightfully refreshing and herbal aroma from the rosemary and a cooling feel from the bay leaf. 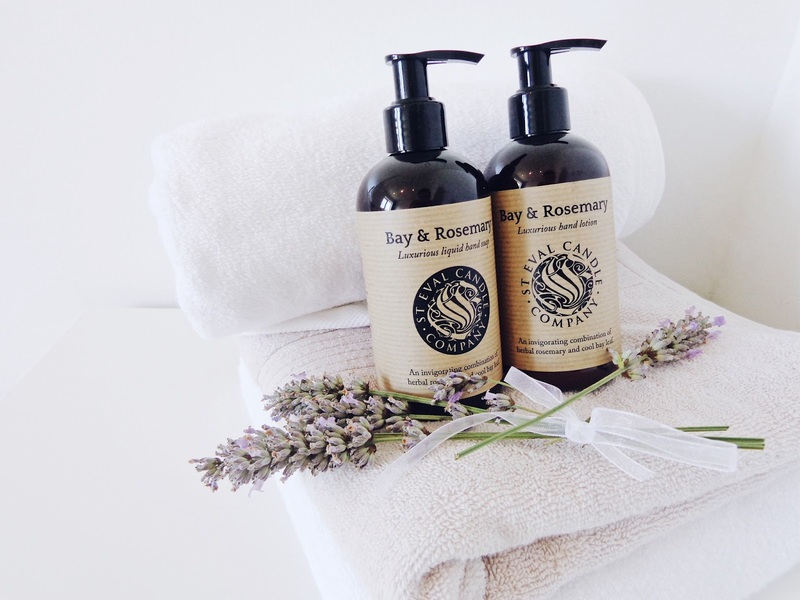 It is also paraben free and not tested on animals so it is completely pure goodness. 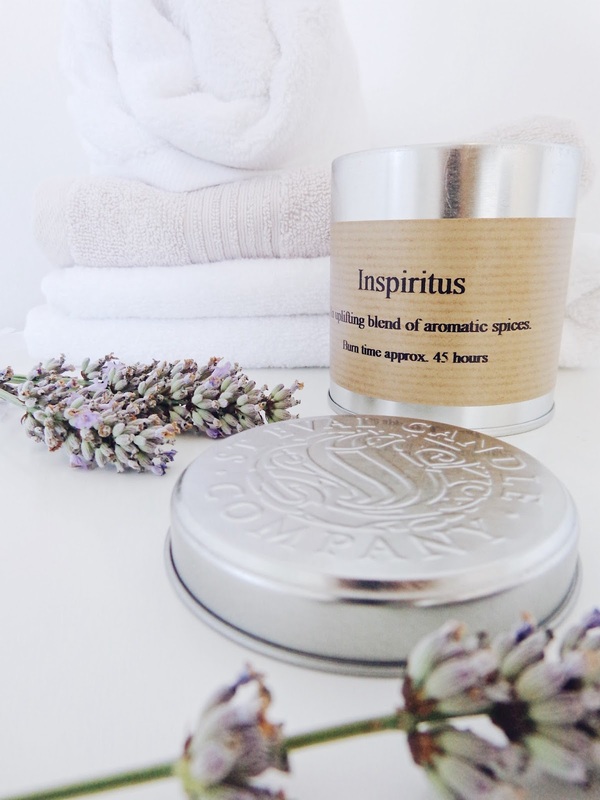 ~ Shop their Bay & Rosemary gift set online ~ The 'Inspiritus' tin candle has a burning time of 45 hours, so the scent can be enjoyed for weeks or months and continues to make a room smell incredibly inviting even when it is not lit. 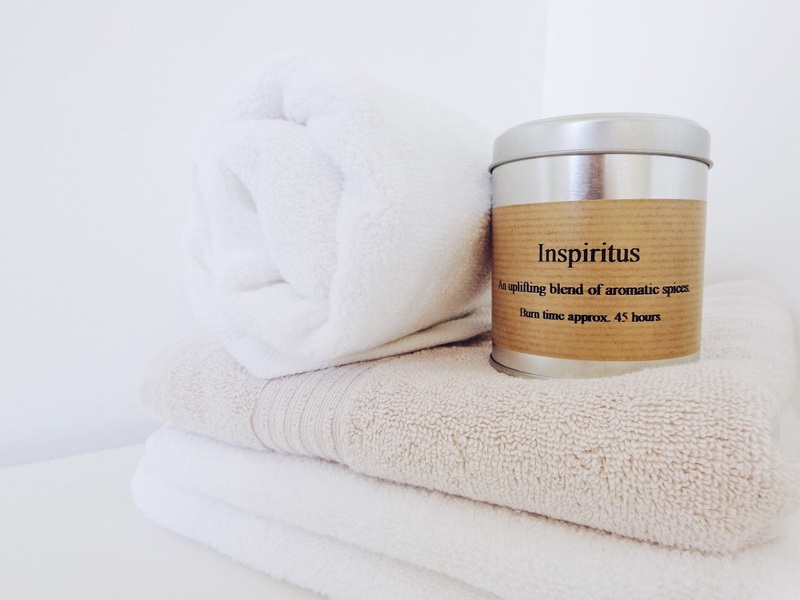 'Inspiritus' smells of warming and uplifting cinnamon, cloves and nutmeg, which is very soothing, plus if you are looking to get well ahead of the Christmas shopping frenzy, this candle is a great addition to someone special's gift list, as it smells like a Christmas dream! 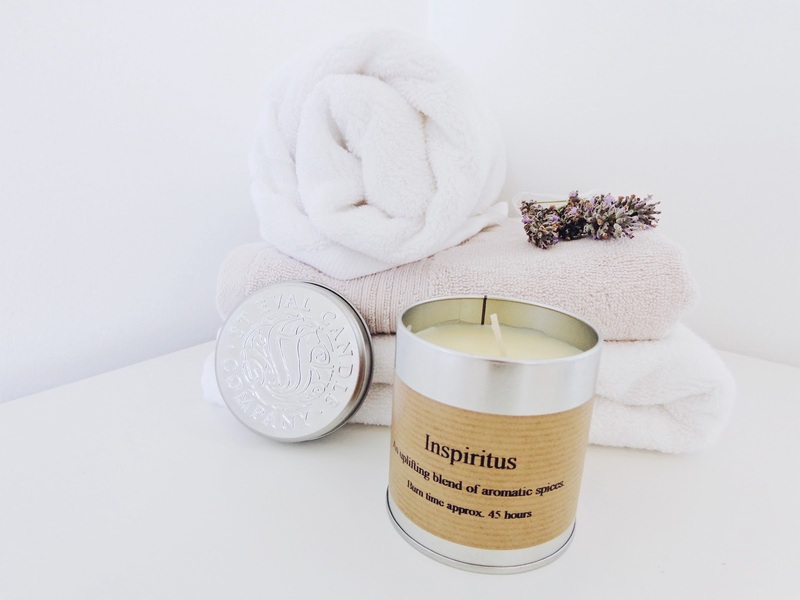 ~ Shop the Inspiritus Candle tin here ~ The natural blended mineral wax and the cotton wick both help to elongate the burning time, plus they carry essential oils much better and are also far healthier than mass produced paraffin wax candles. 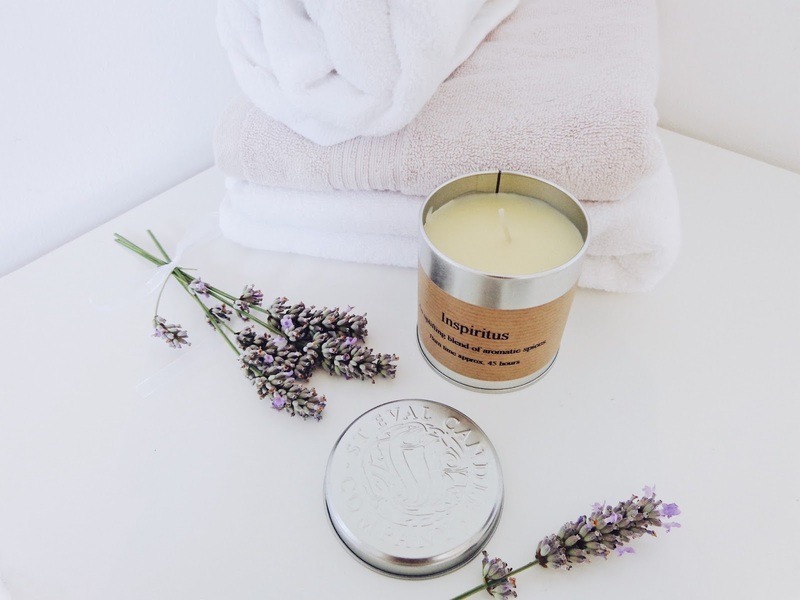 The packaging is designed in their workshop and then sustainably made from recycled materials to minimise environmental impact, as well as create a rustically-refined finish to their candles and bath products. 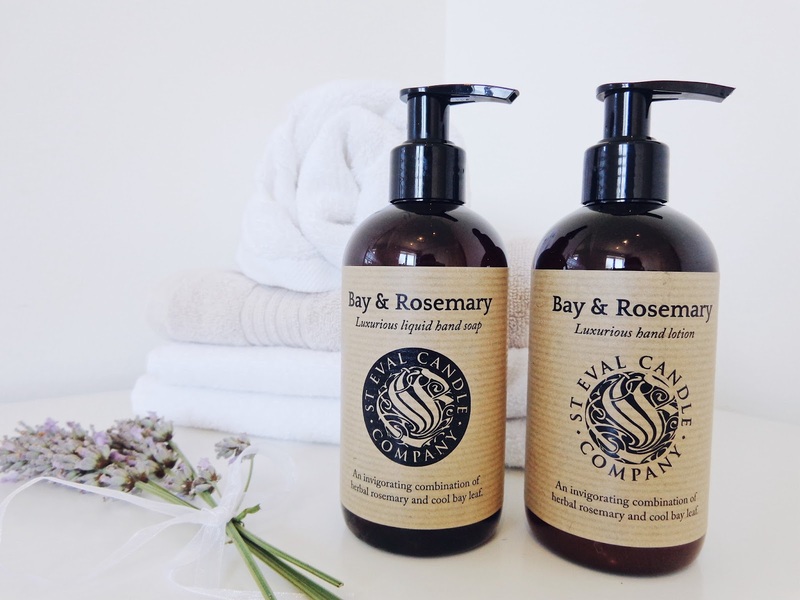 Their products are then carefully wrapped in their Cornwall workshop so the quality control is monitored right until they are ready for dispatch.